Our designers are among the most experienced in the industry and specialise in helping you make the most of your space with individual designs customised to suit your lifestyle. We deliver truly unique designs that are as functional as they are beautiful. As all wardrobes are custom made, we offer a free measure and quote appointment in your home to ensure your wardrobes best suits your needs. We make your appointment at a time that suits you. We also offer evening and weekend appointments to fit into your busy lifestyle. We have a large range of products available in the latest styles, colours, and finishes. Your designer will bring these to your free measure and quote appointment, allowing you to choose the best options for your individual taste and style. Our showroom has many popular options on display. Sliding doors: If space is a concern for your wardrobe, we offer a selection of sliding doors in different options from coloured safety glass to vinyl wrapped doors and more. Our designers work with you to choose the best options. Drawers, shelving, and hanging rails: We offer different options that maximises the storage space in your wardrobe from drawers to hanging rails. These different options can be completely customised to suit your design preferences. Storage cupboards: Cupboards are highly versatile solutions that can be customised to suit all storage needs. We offer complete storage cupboard installations whether you need them for the kitchen or for a home office. Walk in wardrobes: We work closely with you to design and build complete walk in wardrobes that utilise a combination of hanging and drawer and shelving units to easily organise your clothes. Numerous options are available in a range of the latest styles and finishes. Built in wardrobes: Whether you have a wardrobe recess or not, we work with you to design a built in wardrobe that makes the most out of the space you currently have. We offer numerous options in a wide selection of finishes to suit your individual taste. Hinged door wardrobes: If you prefer the style of a more traditional wardrobe, we can design and build a hinged door wardrobe for your bedroom with combinations of drawer units, adjustable shelving and hanging based on your requirements. We provide a complete service from design to installation for all of your wardrobe and storage requirements. Our friendly team will guide you throughout this process to ensure a seamless and hassle free experience. We strive to provide a high level of customer service and are passionate about working with our clients to achieve the best solutions that perfectly suit their requirements and lifestyle. We love what we do and the solutions we provide, hence a large portion of our work is from repeat and referral business. We start by scheduling an in home, free measure and quote appointment, at a time that is most convenient for you. Our designers take the time to listen to your requirements so that we can deliver the right storage solutions customised to your personalise needs. Your designer will bring samples of our products in a range of styles and colours to your appointment, allowing you to choose the best options that fit your preferences. Lifestyle Wardrobes makes absolutely no compromises on quality at any step. Our customised solutions are thoughtfully designed and manufactured with the best quality products and materials available. We continually strive to provide unmatched quality and value for money with solutions that you will love for years to come. All installations are backed by a 10 year guarantee. Call us today on 08 9200 4380 to schedule a free measure and quote appointment and get the right advice for all of your storage needs. We can provide practical and professional advice to ensure that you get the best storage solutions when building your new home. Contact our office to arrange an appointment in our showroom with your working building plans to create the solutions that best suit your needs. Prefer to do your own installations? Our custom solutions can be adapted to any space and built for any unique requirements. This puts you in complete control over how the final result looks when it comes time to do the installation. All products are manufactured to exact specifications so you can do the installations yourself. Getting started with our DIY solutions is really that simple and easy when you choose us. 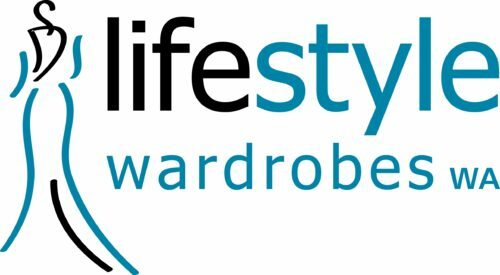 We are affiliated with Lifestyle Wardrobes located in Hobart, Tasmania and Brisbane, Queensland. Each office is a family business independently owned and operated. Our collective presence Australia wide in the wardrobe industry enables us to provide competitively priced products in the latest designs, styles, colours, and finishes.